Objective For the existing reversible data hiding algorithm in encrypted images, the correlation between bit planes is not fully utilized when the bit plane is compressed. To reduce the compression ratio of bit planes and improve the embedding capacity, this study proposes a reversible data hiding algorithm in encrypted images to reduce the redundancy between adjacent bit planes. Method The proposed algorithm is mainly divided into the following steps:image block scrambling, image preprocessing, exclusive encryption, additional information embedding, information extraction, and image decryption/recovery. The proposed algorithm initially divides the image into non-overlapping blocks (such as 4×4) and scrambles the position of these blocks. The value of the bit plane does not change because the scrambling operation does not change the pixels of the image. In this way, the correspondence between the bit planes is unaffected, and compression can be performed based on the correlation. XOR operation is performed on adjacent bit planes because the binary images between the bit planes of the original image are similar. After the image is divided and the block is scrambled, XOR operation is performed on the highest-order and second-highest bit planes to obtain a new second-highest bit plane. Next, the new second-highest bit plane XOR is combined with a lower one to obtain the third-highest bit plane. The same operation is performed on the remaining lower bit planes to obtain a new lower seven bit planes, which combines the original highest bit plane to obtain the eight bit planes of the new image. 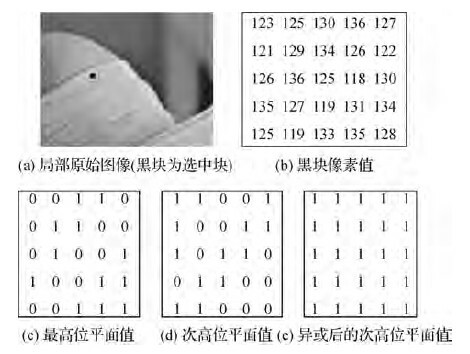 The compression method of a binary-block embedding (BBE) algorithm identifies the binary image and records the structural information of the block. The BBE algorithm remarkably increases the embedding rate. 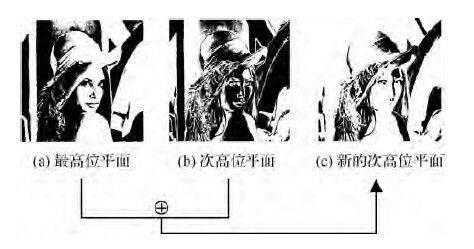 The bit plane can be regarded as a binary value, thus, the compression method has been applied to grayscale images and achieved good results. 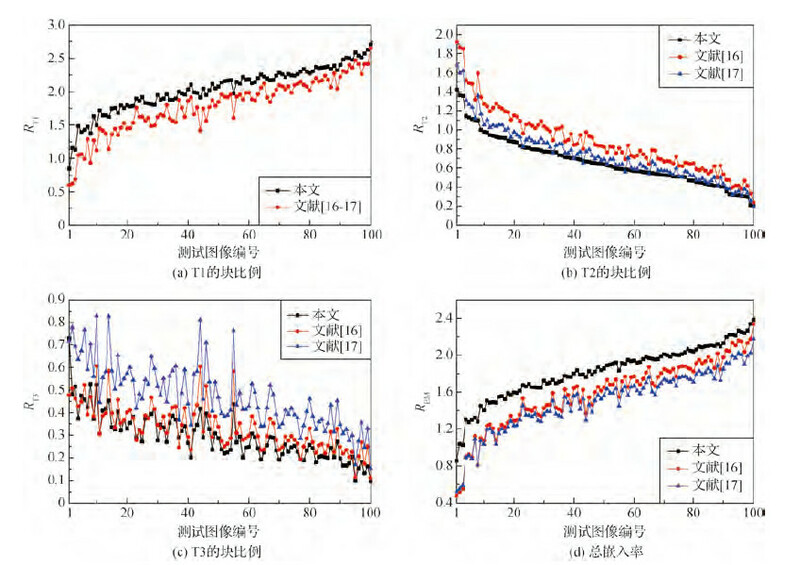 The BBE algorithm has good effect on marking the block and storing structure information; thus, the proposed algorithm in the present work is also applied to this compression method. We use the BBE algorithm to compress the bit plane of an image after an adjacent bit plane XOR operation to accommodate the embedded information. To ensure the security of the encrypted image, the image that vacates the room through compression is XOR-encrypted by using an encryption key. The additional information that does not exceed the maximum embedded capacity are encrypted and embedded in the vacated space to ensure their security. The extraction and embedding of information are reverse processes. Therefore, if the corresponding key is obtained, then the information can be extracted without loss. Information extraction or image decryption/restoration is based on the key held by the user. If the user has an encryption key, then the image can be decrypted or the image can be completely restored. After complete restoration, XOR operation should be initially performed on the image. Then, the high-order data are restored by the BBE algorithm, and XOR operation is performed on the adjacent bit plane to obtain a restored image that is consistent with the original image. Image decryption and information extraction are two independent processes, which realize the separation of the algorithm. If the user has the data encryption key, then the data embedded in the image can be extracted without loss. Result Experiments have shown that the XOR operation of adjacent bit planes makes the lower bit planes smooth except for the highest bit plane. This operation reduces the number of incompressible blocks and compresses poor blocks in bit planes. It is also conducive in compressing the images with the BBE algorithm. Image compression can be improved; thus, considerable space can be freed to embed additional information. In comparison with several existing algorithms for reversible data hiding in encrypted images based on bit-plane compression, the average embedding rate of the proposed algorithm is increased by 0.4 bit/pixel for images with different textures. This finding illustrates the effectiveness of the proposed algorithm in improving the embedding capacity. The XOR operation of adjacent bit planes not only increases the capacity but also has a smaller time complexity than that the BBE method used in grayscale images. In the literature, this operation increases the efficiency of bit-plane coding since prediction and XOR operation making the bit plane smoother. 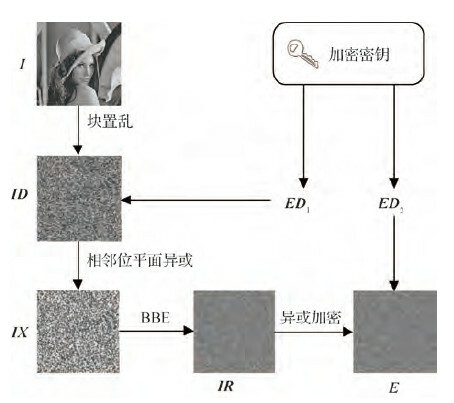 The embedded information can be extracted without loss, and the image can be completely recovered, thereby realizing the complete reversibility of the algorithm. Conclusion Experimental results show that the proposed algorithm provides considerable spaces to embed additional information and ensures their security, which enables the flexibility to embed information based on the requirements. 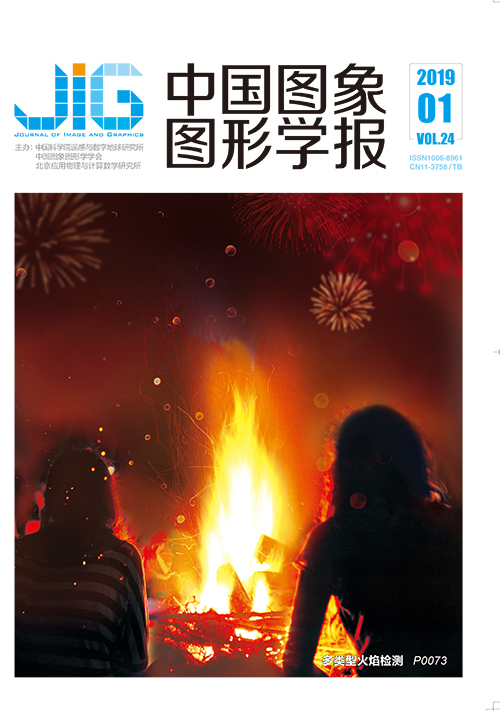 Generally, the proposed algorithm has good performance, and the XOR operation of adjacent bit planes can be applied to several bit-plane processing algorithms. In the future, our focus will be on the application of the algorithm in real life. In cloud storage, a certain amount of user space and transmission traffic is wasted when the cloud manager is not required to embed considerable data for some reversible information hiding algorithms with high embedding rate. The solution to these practical problems will be investigated in our future work. In this way, the algorithm of reversible data hiding in encrypted images can be suitable in real-life applications.